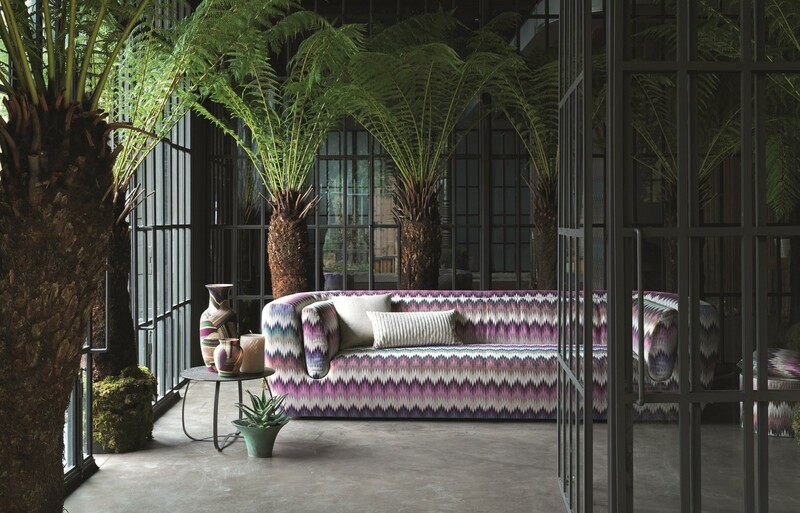 In 1958, husband and wife Ottavio and Rosita Missoni designed a collection of striped knitted dresses for the Milanese boutique La Rinascente, stitching a label of their surname next to their soon to be abandoned studio, Maglificio Jolly. 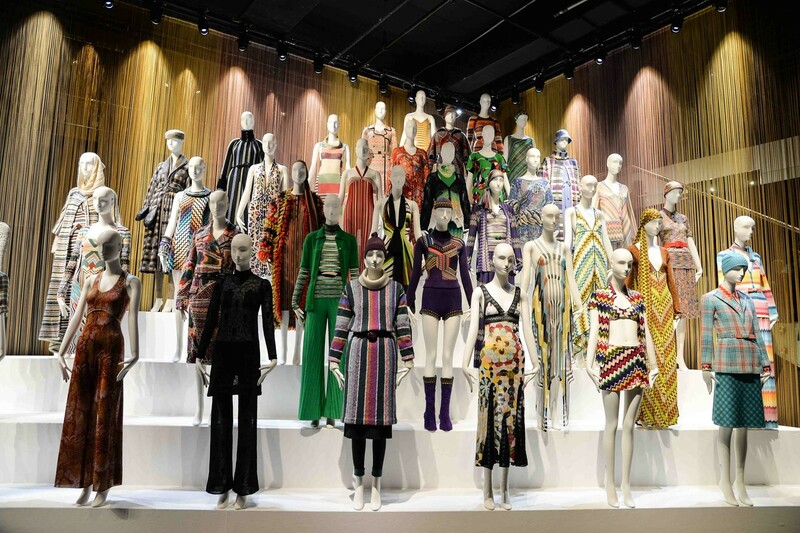 Now a name synonymous with innovative knitwear design, from crochet zigzag to lurex stripes, the kaleidoscopic history of Missoni is the subject of the latest exhibition at the Fashion and Textile Museum in London. "It never ends! If there is a design that I like I will keep adding to it, even if it is not ready for the coming season. This timing is very different in comparison to fashion…it is a great pleasure because you can really work on things, trialing and experimenting. Today digital prints are quite helpful because you can print as many colours as you like – but, of course, you have to input the machines and trial the colour shades. A little darker, a little lighter, it’s a game that keeps me young." "What I love about antique or vintage markets is that then when you find something you have the impression that you are the unique person to own it! Alfie’s Antiques Market in London is fantastic; I used to have a house nearby to it in Maida Vale – even last time I was here I bought some vases that had come in from Venice. I have a big apartment in Paris that is designed with flea market pieces… There is a big Tour Eiffel in one room which I found in a market years ago, lit up with tiny lamps." 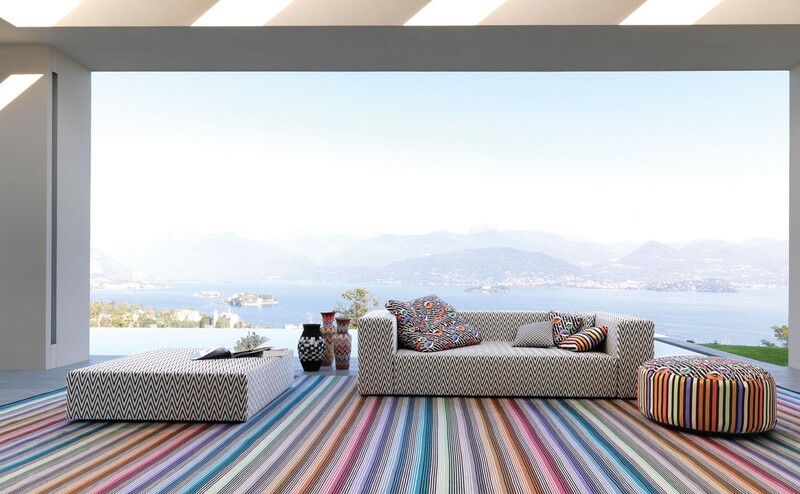 "Gia Ponti was a master and Antonio Citterio is fantastic, I have his tables and sofas at home. I also love Mario Bellini, he’s a great designer of furniture and armchairs – he’s nearly my age now!" "I first saw Wegner’s Wishbone chairs in The Conran Shop in London with my husband. They are so beautifully designed and light and comfortable…I have them in all of my homes – in oak in Sardinia and Sumirago, in birch in Milan, and a kind of redwood in Paris." "I adore the Bloomsbury group; they were from a fantastic period in history. I love their whole concept, all the ladies dressed themselves, and they also dressed the home. Just like Sonia Delaunay who had a workshop for fashion and also made her own fabrics, she did everything!" "At my home in Sumirago I have a huge garden, very much in the English way with lots of wild flowers coming from all over, and an orchard. In front of the window in my bedroom I can see the crown of the Alps and I take pictures of the view nearly every day. Angela has the same view and we send each other photos early in the morning. My husband used to say, 'It’s not important where you sleep, but it’s important where you wake up!'" 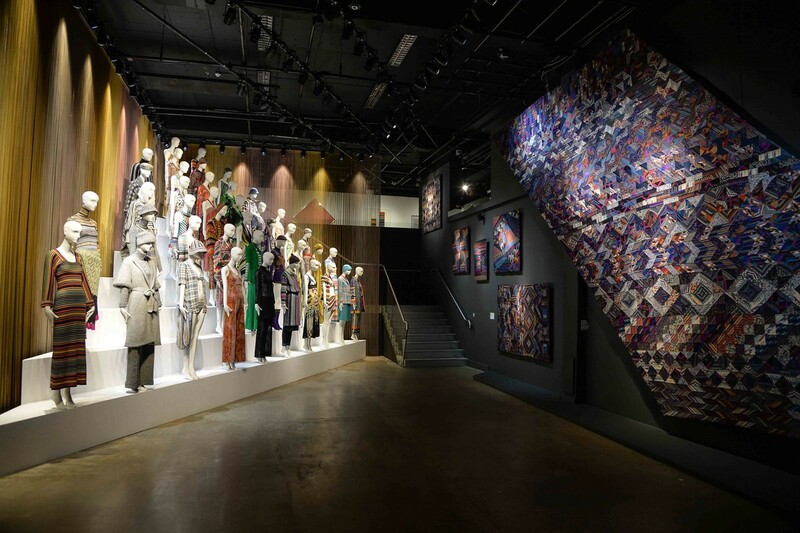 Missoni Art Colour runs at the Fashion and Textile Museum London until September 4, 2016 in association with the MA*GA Art Museum and the Woolmark Company.